You may be surprised to know that 73% of today’s college students believe higher education institutions should have social media profiles. As a college or university, one of the most popular platforms amongst your target audience is Instagram, a photo-sharing social network where users can connect and post photos using various filters. Users can also engage with one another by liking and/or commenting on the images shared by others. So how can your school tap into this valuable engagement resource? Let’s take a look. Assign Instagram Duties – In order for your higher education Instagram strategy to be successful, you’ll need to first establish who will be responsible for managing the process, from taking photos at school events and around campus to posting them to the page. This can be one individual, but it’s typically delegated to a team who will share responsibilities, as this is much more effective. Devise a Plan – First, determine whether your school will have just one Instagram account, or several. For instance, if your higher education institute is quite large, you may want to separate out accounts based on department, such as athletics, arts, theatre, etc. Then, map out a strategy that includes your target goals (how many likes, etc.) as well as how often you’d like to see images posted. Use Instagram to its Fullest – Beyond basic photo sharing, you can leverage your school’s Instagram account to deliver announcements, promote events, share achievements and results, and more. In actuality, the sky’s the limit. You just need to be creative and think outside the box a little. And remember, people like authenticity, so don’t stress over posting the perfect photos. 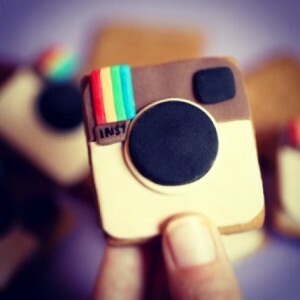 Build a Following – Similar to other social networks, Instagram users can follow, like and comment on others’ images. They can also tag others. For example, if one of your followers knows that his or her friend would really appreciate a certain image you just shared, he or she can simply tag that person’s account in the comment section. This, along with following, liking and commenting on others’ posts will help gradually build your following. Measure and Tweak – Over time, you’ll be able to start analyzing the results from your Instagram activity to better hone your efforts. Go back and see which types of images received the most interactions and adjust your approach accordingly. Before you know it, your higher education institution will be mastering the art of Instagram to attract, retain and engage your prospects, students and alumni.